During the cold Middle Tennessee winters, it’s imperative to have the perfect coat for winter that is comfy, warm, and looks great on you! Not everyone knows which fabrics tend to cover all the bases when it comes down to a purchase. If you’re in the market for a new coat, it’s likely you haven’t gotten a new one in a while. Winter coats typically last for several seasons. Or, maybe you’re just ready for something new that’s more fashionable. Make sure and pick something you’re in love with so you don’t have to fork over big money again next year. 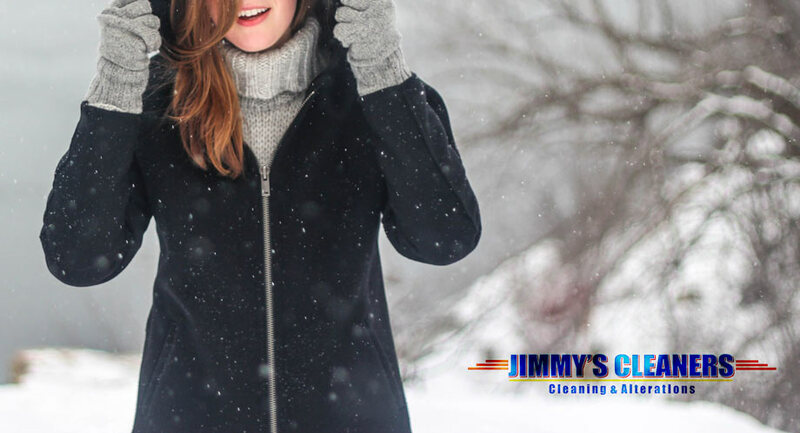 To that end, Jimmy’s Cleaners would like to help you in knowing what to look for in the warmest winter coat that’s going to hold up for years to come. When shopping, be sure and take our little suggestion list here with you! One of the first materials that probably come to most people’s mind when thinking of a warm, insulating fabric is wool. Wool comes in many different colors, it’s incredibly warm and it’s absolutely perfect for winter months because of its natural breathability. It’s usually fairly lightweight while also being strong—making it a great, long-lasting coat material. Wool is a natural fur that’s taken from sheep and spun into fabrics of all sorts. Natural air pockets in its structure make it a great insulator and a great breathable material. Because it’s an animal fur, it’s naturally water-resistant. While we don’t get a ton of snow around the Nashville area, we do get our fair share of rain and moisture. That makes wool a great choice for keeping dry and warm! Wool is a great option for both casual and dressier occasions, and it is the perfect choice for the warmest winter coat. Fur is a very luxurious material that’s been used for ages. In ancient times, humans used every part of the animal they killed from eating, to making tools, and using the skin for blankets and coats. Natural fur is very flattering and durable. It’s a flexible option as people use it for dressy occasions or just for warmth. 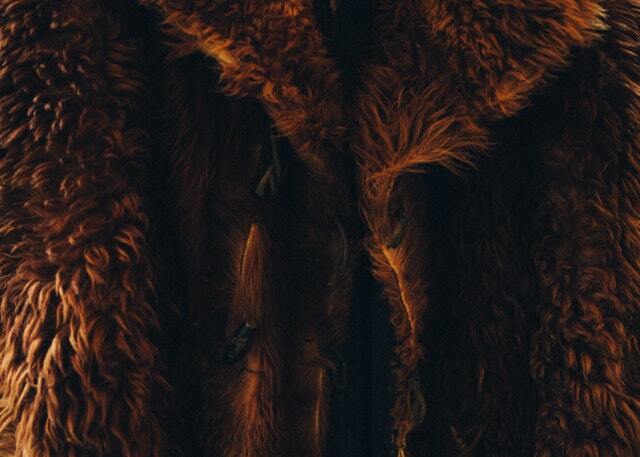 Nowadays, fur is still in fashion, but it’s also available as a man-made “faux” fur option. Animals aren’t harmed in the production of faux furs and it’s much less expensive. Proper care of your winter coat, no matter the material you choose, is important so that it can last you for several winter seasons. High quality, natural materials always need to be dry-cleaned to make sure no damage or shrinkage is done. Winter coats are different than everyday clothes as far as cleaning goes. Once or twice per season should suffice. Unless you spill something or soil your coat in between cleanings, outerwear doesn’t get dirty nearly as fast because it’s not typically next to your skin. That’s where the professionals at Jimmy’s Cleaners come in! Visit one of our 5 locations in Brentwood, Franklin or Spring Hill, to get the highest quality dry cleaning and keep that winter coat looking great for years to come! Be sure and check our current specials, there’s usually a great discount for dry cleaning. For more tips on clothing, linens, and other great information about fabrics of all kinds, visit jimmyscleaners.net/blog.